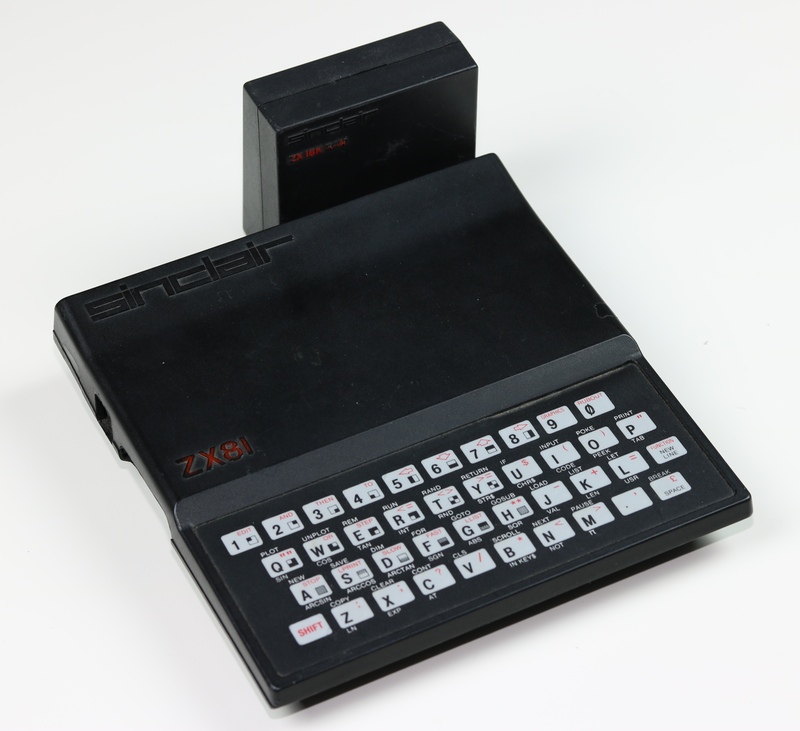 La note a été taggée Vinyle, ZX81. Seeking information for my work, I came across a special thing: a video game on a vinyl record. In the 80s, the data were stored on audio media, with a coding pretty close from ​​the modems ones. They were often audio cassettes: the tape recorder was easy to make (some computers used directly the user’s), the tapes inexpensive and – above all – the data could be modified. But other solutions have sometimes been tested: television broadcasts, radio … or on a vinyl record. 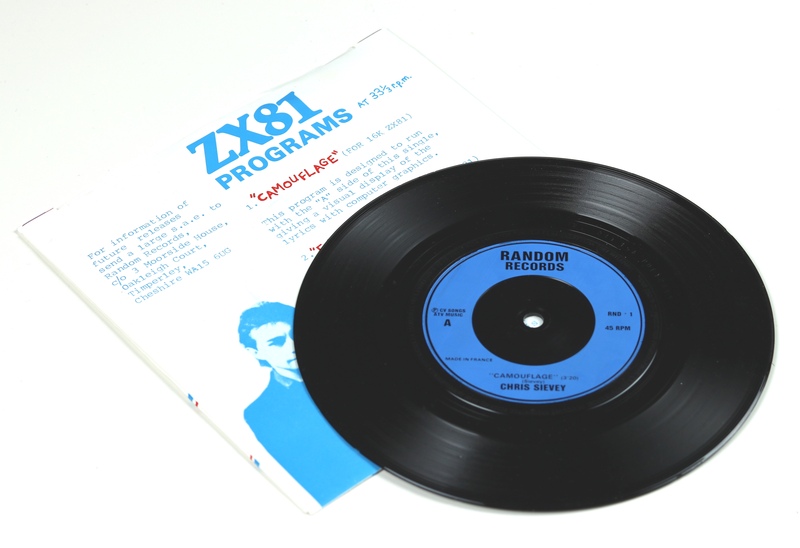 The English artist Chris Sievey therefore released in 1983 a 33 rpm record (Camouflage) which contained on its face B three programs for a computer of the time, the ZX81 (Timex Sinclair 1000 in the USA). 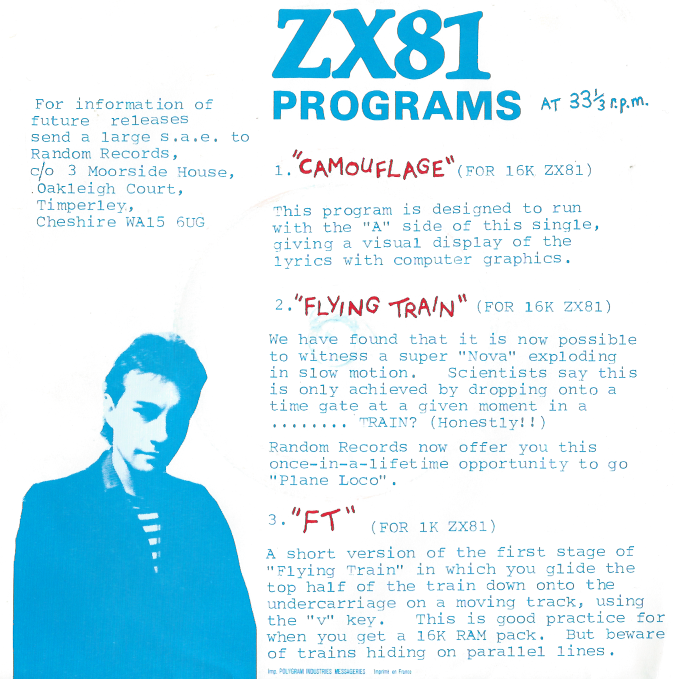 The first program is a kind of interactive video for the music of the A side, the second one a game (Flying Train) for the ZX81 with 16K of RAM and last another game (Flying Train, again) for the classic ZX81 with 1 kB of RAM, which obviously works on the Timex Sinclair 1000 and its 2K of RAM. The fun part is obviously to try to recover the data. Surely I am not the first one to try (a video shows the corrected result) but it’s still interesting. So I pulled out my USB vinyl turntable and tried to save the content. First, it is completely unbearable to listen: several minutes of modem noises. Second, the level must be set properly, otherwise the programs that convert WAV files for emulators simply do not work. Finally, although some emulators a priori directly accept the audio, I have not succeeded to make it work. I have to confess that despite many attempts, I simply were unable to get something usable. I have no real ZX81 to try and even with software that convert audio, I did not get a ROM that could be launched. I’ll show you the video of someone who was successful, but obviously with much more efforts than I could imagine by reading the comments.